FIFA U-17 World cup, under the slogan “Football takes over”, will kick off from October 6th and India is all set to host the event for the very first time in history. The tournament is being played across six stadiums and in six cities namely Goa, Guwahati, Kochi, Kolkata, Navi Mumbai, and New Delhi. A total of 24 countries and 6 confederations will participate in this tournament. Being the host, Indian team is automatically qualified for this year’s U-17 World cup. For India, the U-17 World Cup provides the perfect stage to show the world that it can deliver when it comes to massive events. All the stadiums for the World cup looks to be in top notch condition and it’s fair to say right now that India have put together quite a package when it comes to the infrastructure and construction. FIFA U-17 is a competition in which the future stars of Planet Football often take their first steps to greatness. Neymar, Andres Iniesta, Ronaldinho, Gianluigi Buffon and many more appeared at the U-17 World Cup before going on to shine in their country’s senior teams. FIFA authorities have also announced that for the first time in footballing history, women will be part of the refereeing teams at a FIFA men’s tournament. 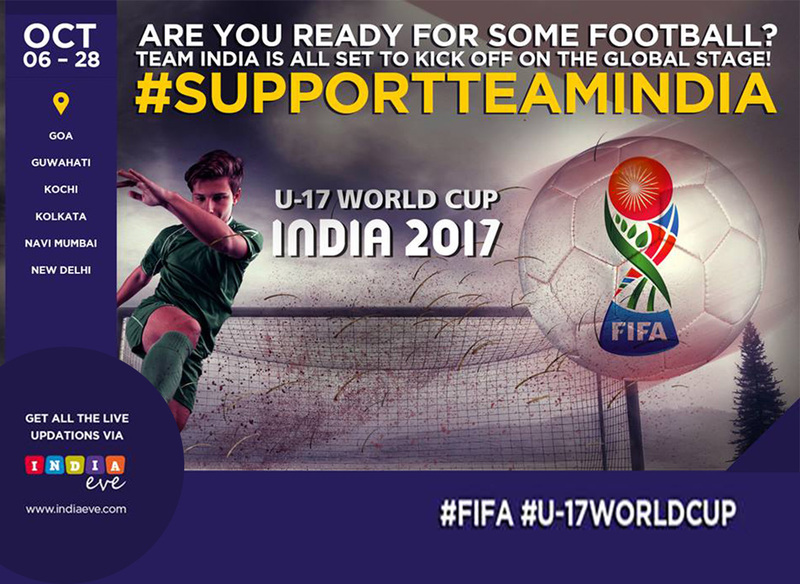 India’s FIFA U-17 World Cup team coach Luis Norton de Matos believes that this event will be a major leap in India’s Footballing future. He assured that the country’s football fans will be proud of the performance of the Indian players. A total of 52 games will be played to decide the winner of the FIFA U-17 World Cup India 2017. The final will be held at the Salt Lake Stadium in Kolkata on 28 October 2017. India face USA in their campaign opener on October 6 before taking on Colombia (October 9) and Ghana (October 12). Let’s wish the very best to our future stars of Indian Football.